When it comes to leaks, Marvel Studios are at the top of the game as far as preventing them from getting out. If an Avengers 4 plot leak is to be believed, however, it looks like they may have let one get away from them. If you don’t want to see any potential spoilers for the upcoming movie, you better turn away now, as this could be big. Then again it might be nothing at all, so it’s entirely up to you. First and foremost I would like to say that if you are hesitant to accept whatever I have to say, or you flat out don’t believe what I’m saying, that is OK. I know that we are far from the release of A4 and that everything is being kept extremely lowkey, but I have connections to those who still work there and that is how I get my fix of spoilers. I cannot explain any names or departments because I don’t want any of my connections to get into severe trouble. I am a huge MCU fan and have been a lurker of these subreddits for a long time coming, and because A4 is the last time we will see our OG Avengers on the silver screen, I want to share whatever I have with you guys. So if you trust me (which if you don’t, that’s perfectly OK and I understand), I encourage you to read on. Post credits scene for Ant Man is Hawkeye family being dusted. This is following the previous precedence of the first Ant-Man film where another Avenger shows up as a cameo in an Ant-Man movie. IW focused on the relationship between Gamora and Thanos, however A4 will focus on the relationship between Thanos and Nebula. 3 months will have passed since the Snap in IW. The beginning of A4 will be showing the catastrophe caused by the Snap and how everything has turned to chaos. The Avengers plan to go back in time with the help of Pym Tech to recollect the stones and make their own gauntlet to reverse the snap. The final battle for A4 will also take place in Wakanda. This is because the final battle will be a revisit to the third act of IW. IW was the “bad ending” where Thanos won whereas A4 will be the “good ending” where the Avengers win. The time jump back to the IW Wakanda battle will be before Thanos does his original snap, therefore everyone who was there before the snap will also be there. 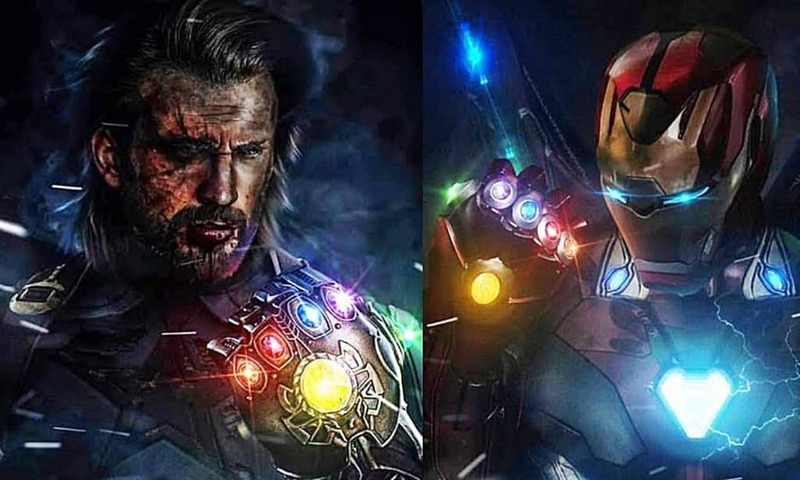 Therefore, those who were originally dusted will not remember that they died nor will the rest of the world remember what happened, only the OG Avengers will remember. Nebula realizes Thanos’s tricks and goes one on one with Thanos. Nebula succeeds in hurting Thanos however does not kill him yet. A new property of the Soul Stone is revealed. Previously, it was believed that the only way to unlock the power of the soul stone was to sacrifice something you loved, however the opposite is also true: a sacrifice of something you infinitely hate can also unlock the powers of the Soul Stone. Guess who hates Thanos more than anyone in the entire universe? Yup, Nebula. Nebula traps Thanos into the soul stone. There are many callbacks to the original IRON MAN 1. For example, there is a scene where Tony and Cap are off stealing the tesseract from Avengers 1 era and Thanos is about to catch Tony and kill him. However, Cap says he will fight Thanos 1v1 to buy Tony more time to escape. Tony says that he will die fighting Thanos and that they should stick to their plan of escaping, Cap responds saying “This was always the plan” THIS SCENE IS A CALLBACK TO THE SCENE IN IRON MAN 1 WHERE YINSEN SACRIFICES HIMSELF TO ALLOW TONY TO ESCAPE. Cap’s sacrifice solidifies Tony and Steve’s relationship with each other and how they always helped each other despite their differences. Captain Marvel has intel on how to properly use the stones without causing collateral damage as the stones cannot be used by normal humans without causing universal damage (Hence why learning how to use the Time Stone in Doctor Strange 2016 was considered “forbidden knowledge” and that messing with it will bring unpredictable consequences). This is similar to how the power stone destroyed that one pink girl in the first GOTG because she was untrained. (There is another theory that i’m not sure of, which is that Captain Marvel’s own super powers are based off of the Power Stone similar to how Wanda’s and Quicksilver’s powers are derived from the Mind stone in the post credits of Winter Soldier. This explains why she is so knowledgable of the infinity stones in the first place). She also has a similar role to Superman’s role in Justice League 2017 and absolutely destroys Thanos in 1v1. I will be adding more on: Thor, Hulk, Gamora, Hawkeye, Black Widow in a few hours as it is almost 3:30 AM EST for me. So there you have it. Maybe. If this is indeed the case, it sounds like we’re in for one roller-coaster of a movie. Then again, that’s what Avengers: Infinity War was, so we should be expecting that anyway. Like I said earlier in the post, be sure to take this with a major grain of salt, as Reddit is obviously not the best place for reliability, and it could turn out to be nothing more than a theory. Sometimes, though, stuff on there does turn out to be true. We’ll know everything once and for all when Avengers 4 hits theaters on May 3rd, 2019. What do you think of this potential leak? Are you buying it? Be sure to tell us your thoughts in the comments down below!